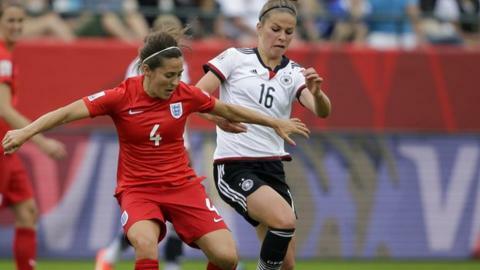 England Women have arranged an international friendly against rivals Germany on 26 November. Mark Sampson's side, who defeated Germany 1-0 in Canada to take third spot in the World Cup, will travel to Duisburg for the encounter. "This is an opportunity to test ourselves against a world-class team," said Sampson. The Lionesses will then play Bosnia-Herzegovina at Bristol City's Ashton Gate on Sunday, 29 November. England's next match is away in Tallinn where they begin their Euro 2017 qualifying campaign against Estonia on Monday, 21 September.